Dominick DellaSala explains the Lyme/climate link. Lyme disease is scary, plain and simple. 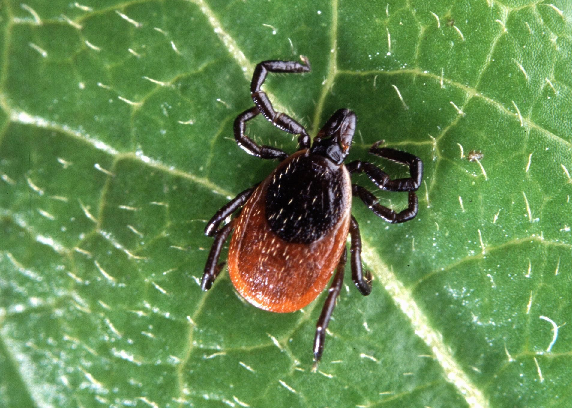 A deer tick, the carrier and transmitter of Lyme disease. It can cause a host of problems in humans, including damage to the joints, the heart, and the nervous system. And it appears to be spreading. Geos Institute chief scientist Dominick DellaSala attributes the spread of Lyme to global warming, which allows the ticks that carry the disease to expand their range. DellaSala visits with details of his report, and a story of the disease hitting close to his home. Andrea Caesar describes life with Lyme. Andrea Caesar is not alone in suffering the effects of Lyme Disease. The tick-borne illness affects at least 30,000 people a year. But the disease can be so hard to detect and diagnose that Caesar did not know she actually had it… for 25 years.